The research cruise CE12010 with the Irish research vessel Celtic Explorer (20/07 to 06/08/2012; Bremerhaven - Hamburg) is conducted within the framework of two EU-projects. The EU project bit Eurofleets provides resources for ship time, travel and transport expenses to enable the investigation of research questions of the EU project ECO2. The scientists on board of RV Celtic Explorer will investigate the industrial used CO2 storage field within the Utsira sandstone formation in the vicinity of the Sleipner field. This expedition is the fifth out of seven planned ones, investigating the Utsira storage formation until the end of the ECO2 project in 2015. 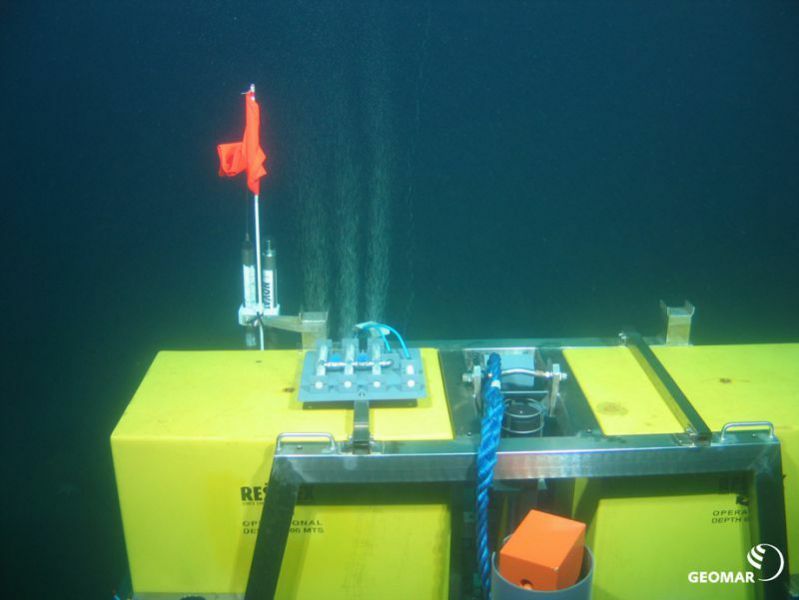 The scientists aim to detect potential gas emissions at the sea floor. The seven expeditions build on one another to guarantee accelerated scientific progress to answer the questions of the project and to save valuable ship time. A distinctive feature of the CE12010 cruise is a CO2-release experiment at the sea surface within the vicinity of the Utsira storage formation. This experiment will be conducted to detect the expansion of a restricted amount of CO2 within the water column and to test the sensitivity of the deployed sensors. Besides the Utsira storage formation close to the Sleipner field the so called blow-out crater in the British sector of the North Sea will be investigated. Since 20 years, high amounts of methane are seeping there following a miscarried drill attempt. 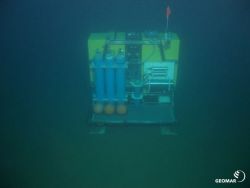 Consequently, this site can be investigated as a sort of long-term release experiment to determine the amount of methane released at the sea surface and how it is spread within the water column. To enable the planned research tasks, RV Celtic Explorer loaded the ROV KIEL 6000, 2 lander units, a video-guided pump-CTD, and a 6 m vibro corer. Chief scientist of CE12010 is Dr. Peter Linke from GEOMAR | Helmholtz Centre for Ocean Research Kiel.